For literally thousands of years, people have been harvesting honey from bees because it is delicious. Whatever early person made that discovery, the world thanks you. However, in all that time, very little has changed about how we harvest said honey, until now. 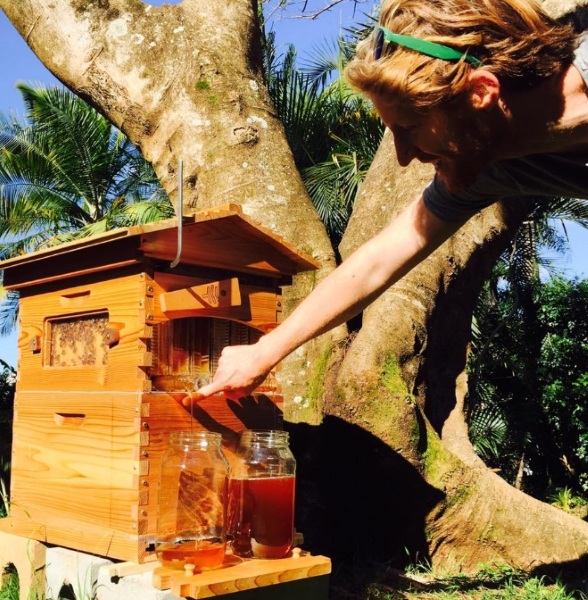 The Flow Hive is a new way to get at that delicious sticky nectar without disturbing the busy bees. Harvesting honey is dangerous for bees and keepers alike. Bees get crushed (by accident) and keepers are stung (which isn’t great either). It also takes some time to work through each hive. 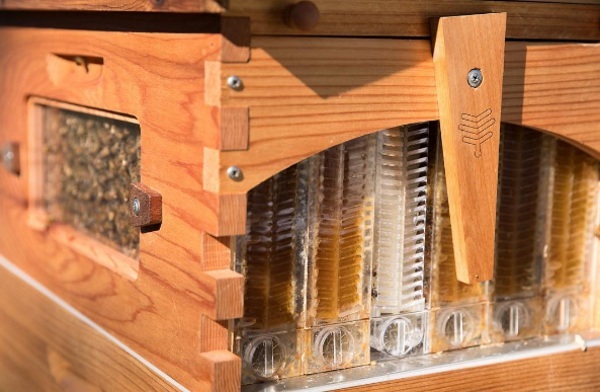 This new type of hive lets you simply turn a crank and out flows the honey. Inside the honeycombs can be offset so when you turn it, the honey pours out of the openings and into the waiting jar. Nothing needs to be pulled, no bees are crushed, they hardly notice anything is happening. This system is a gentle way to collect honey. You can get your own Flow Hive for $699 but the bees aren’t included.